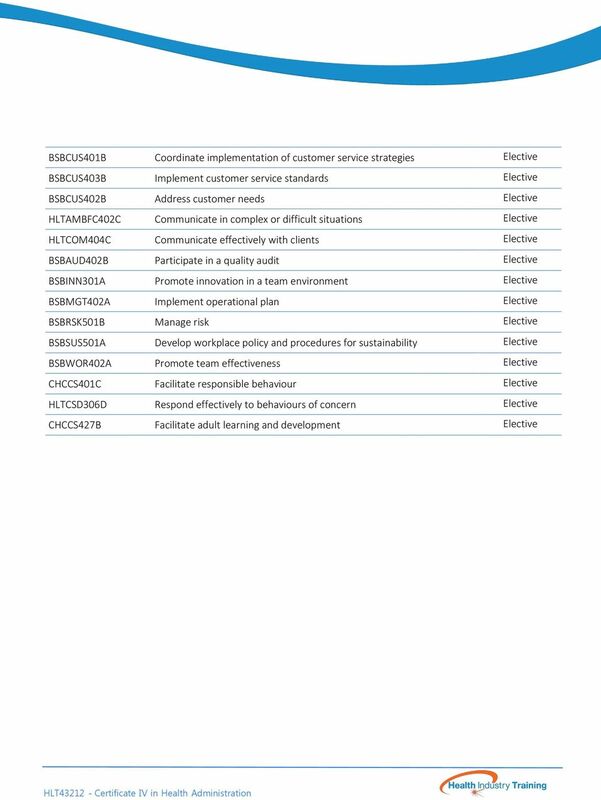 Download "Course Outline. 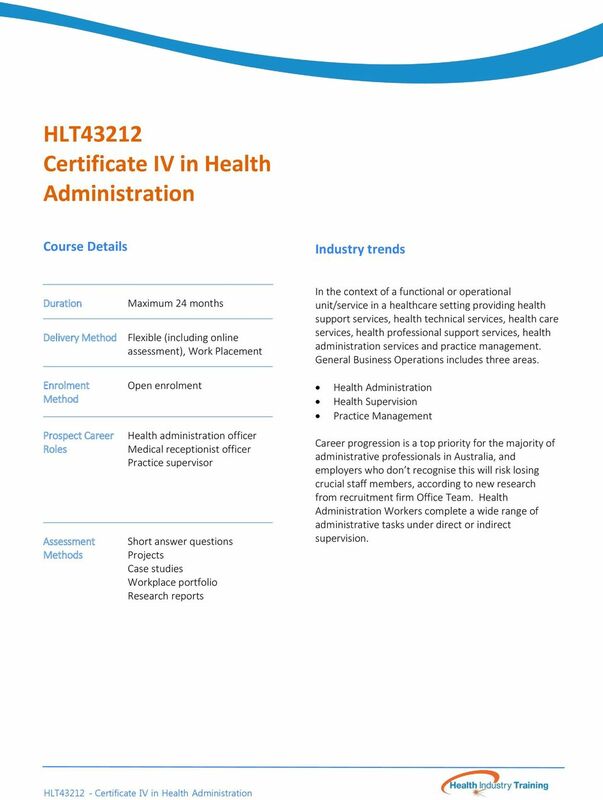 HLT43212 Certificate IV in Health Administration. HLT43212 - Certificate IV in Health Administration"
3 HLT43212 Certificate IV in Health Administration Course Details Industry trends Duration Delivery Method Enrolment Method Prospect Career Roles Assessment Methods Maximum 24 months Flexible (including online assessment), Work Placement Open enrolment Health administration officer Medical receptionist officer Practice supervisor Short answer questions Projects Case studies Workplace portfolio Research reports In the context of a functional or operational unit/service in a healthcare setting providing health support services, health technical services, health care services, health professional support services, health administration services and practice management. General Business Operations includes three areas. Health Administration Health Supervision Practice Management Career progression is a top priority for the majority of administrative professionals in Australia, and eploers ho dot recogise this ill risk losig crucial staff members, according to new research from recruitment firm Office Team. Health Administration Workers complete a wide range of administrative tasks under direct or indirect supervision. 5 Recognition of Prior Learning Many of our students already have a high level of skills, knowledge and expertise that can be recognised through a Recognition of Prior Learning (RPL) process. RPL takes into account any previous formal study, work and life experience and then assesses this against the elements of competency to determine if you can receive credit toward a qualification. 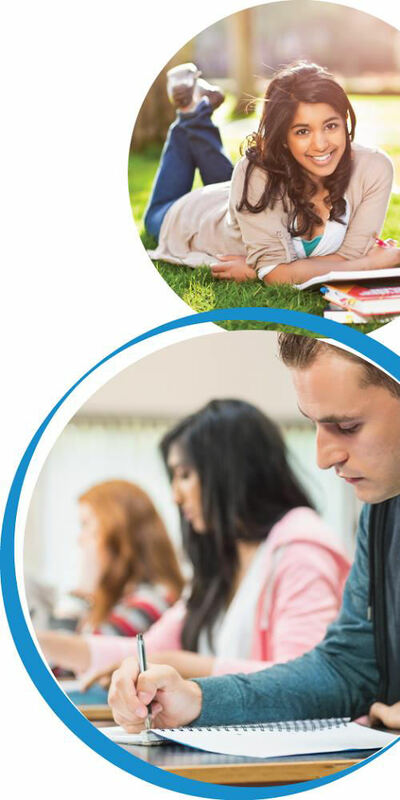 Students seeking recognition can apply for RPL on enrolment into a qualification or throughout the duration of their study. Credit Transfer If you have completed a unit of competency within your intended qualification with another Registered Training Organisation (RTO) you may be able to apply for a credit transfer or exemption. A copy of the original transcript must be provided when applying for a credit transfer. 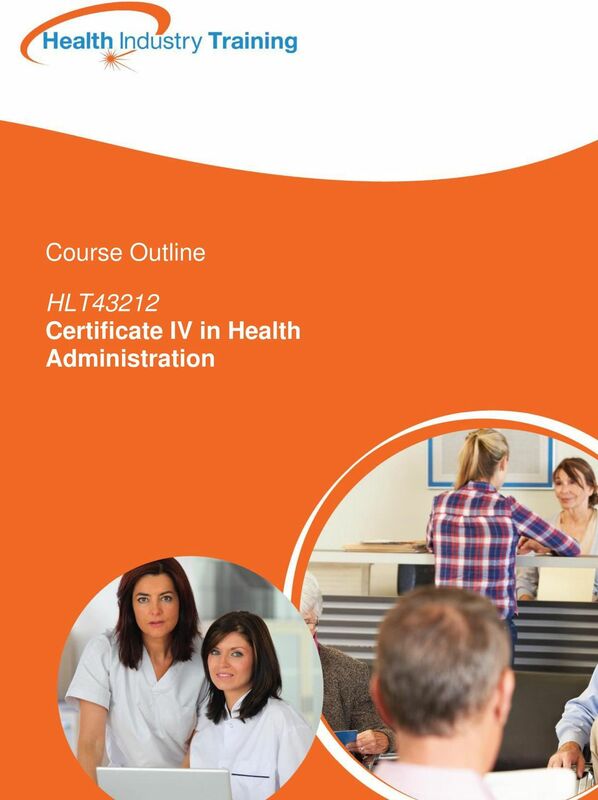 Entry Requirements To enrol in the Certificate IV in Health Administration it is anticipated that you will have completed year 10 or equivalent. 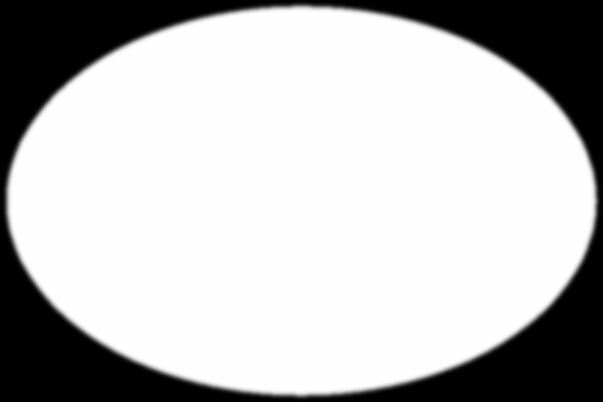 In addition students will need to provide Health Industry Training with their Unique Student Identifier number. 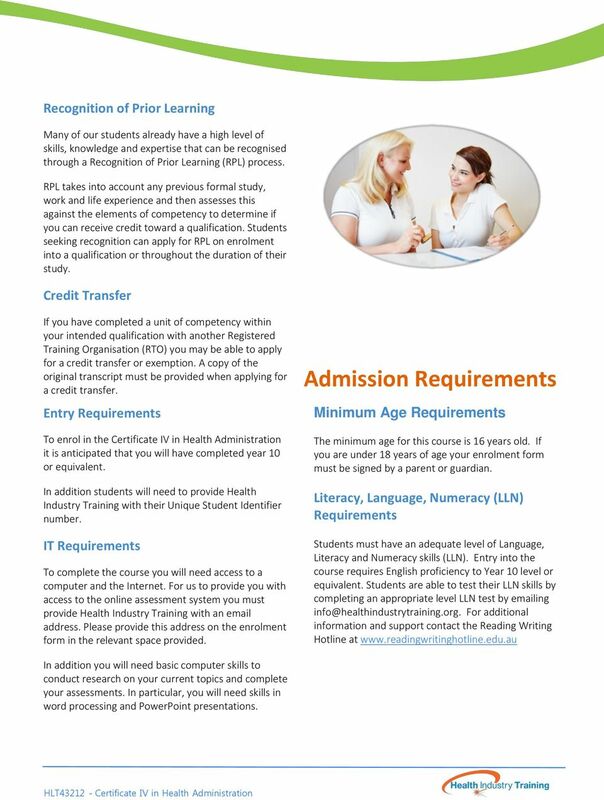 IT Requirements To complete the course you will need access to a computer and the Internet. 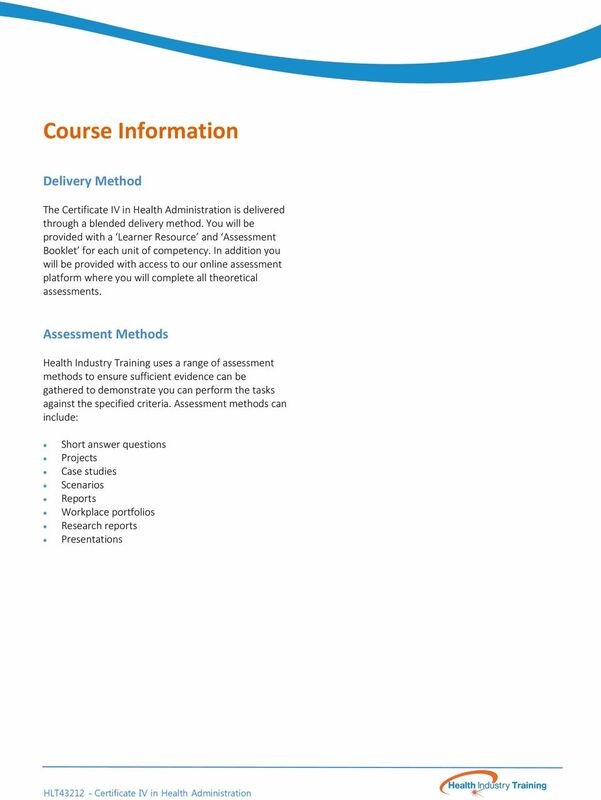 For us to provide you with access to the online assessment system you must provide Health Industry Training with an address. Please provide this address on the enrolment form in the relevant space provided. Admission Requirements Minimum Age Requirements The minimum age for this course is 16 years old. If you are under 18 years of age your enrolment form must be signed by a parent or guardian. Literacy, Language, Numeracy (LLN) Requirements Students must have an adequate level of Language, Literacy and Numeracy skills (LLN). Entry into the course requires English proficiency to Year 10 level or equivalent. Students are able to test their LLN skills by completing an appropriate level LLN test by ing For additional information and support contact the Reading Writing Hotline at In addition you will need basic computer skills to conduct research on your current topics and complete your assessments. In particular, you will need skills in word processing and PowerPoint presentations. 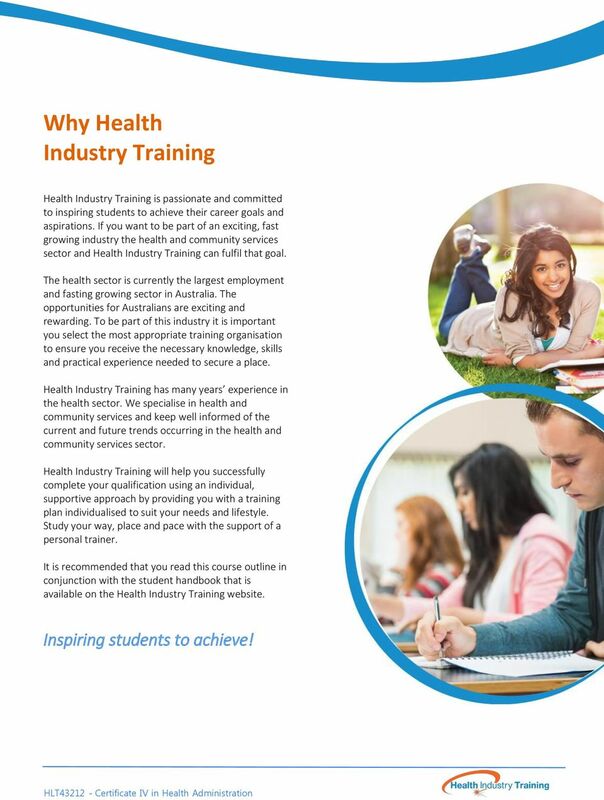 6 Student Support Throughout your course with Health Industry Training, you will be provided with a range of support services depending on your individual needs. One-on-one trainer support: You will be provided with a trainer that has extensive experience and expertise in the course content and the industry sector. Our professional trainers are there to ensure you have a successful learning journey where you can contact them via phone or . 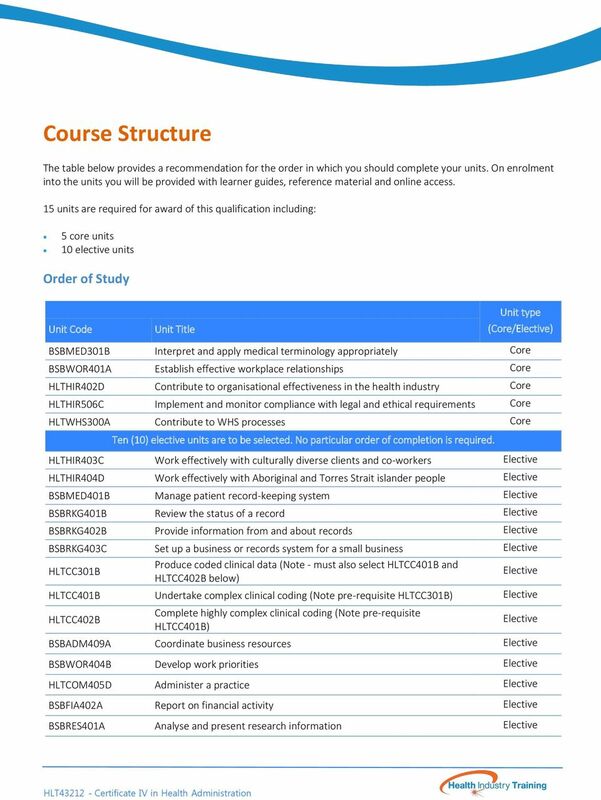 In addition to your trainer, the administration team can provide you with support including your enrolment, changes to contact details or study plan, assisting with accessing your online assessment system, progress report and any issues you may encounter throughout your course. Peer support Health Industry Training appreciates that distance/online learning can be an isolated experience for some students. To assist with isolation all students have the option to be part of a Facebook peer support group. Peer support groups can be a positive experience where you can study with like-minded people, ask questions relating to your course and build friendships. Financial support Queensland residents ONLY. 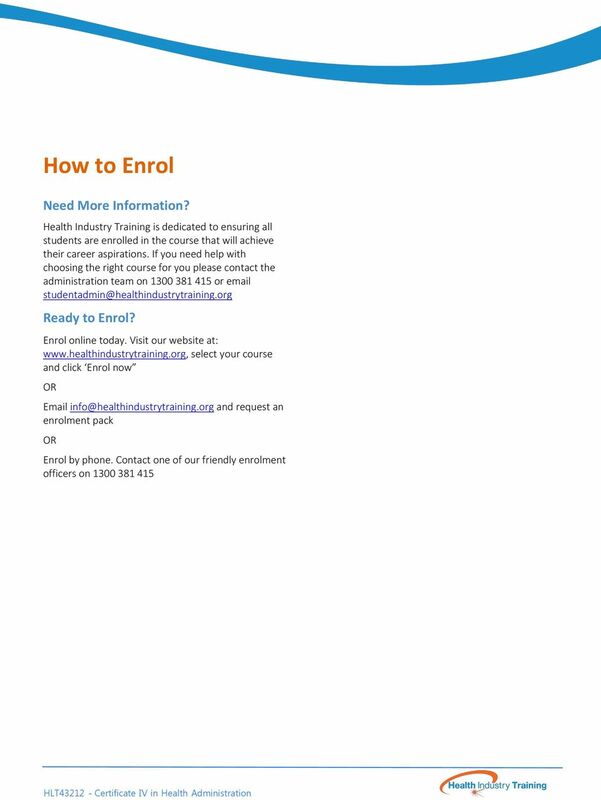 This course if available through the Australian Apprenticeship Scheme. The Australian Apprenticeships Scheme is government funded training available for school-based students, new and existing employees. The traineeship program addresses skills needs by making government funding available to Health Industry Training to deliver the training. Additional incentives for employers are also available to provide students with paid work for the duration of the traineeship. There are no costs to the student. 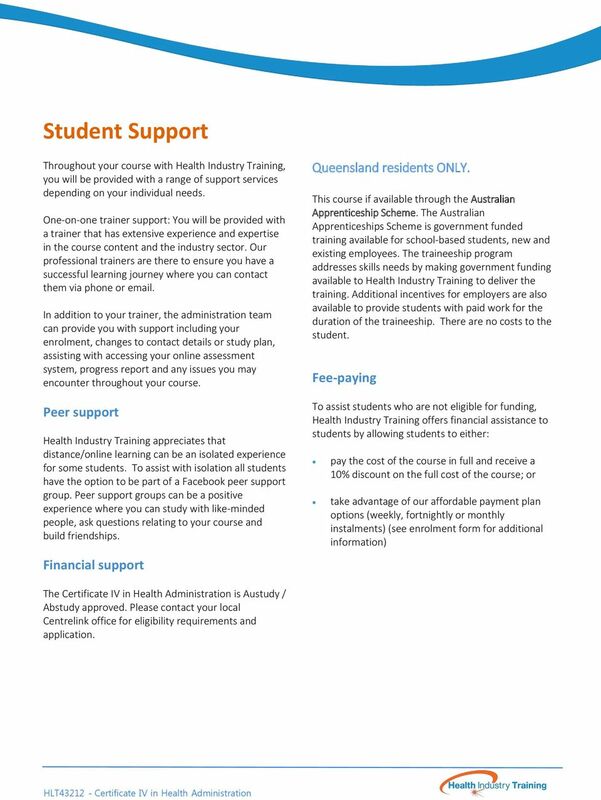 Fee-paying To assist students who are not eligible for funding, Health Industry Training offers financial assistance to students by allowing students to either: pay the cost of the course in full and receive a 10% discount on the full cost of the course; or take advantage of our affordable payment plan options (weekly, fortnightly or monthly instalments) (see enrolment form for additional information) The Certificate IV in Health Administration is Austudy / Abstudy approved. Please contact your local Centrelink office for eligibility requirements and application.